1989: Dawn of Freedom is the next in line to have had a review done on Play Board Games. Check it out. 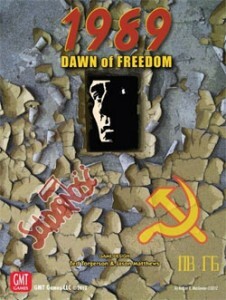 1989: Dawn of Freedom is a card-driven strategy game that depicts the fall of Communism in Eastern Europe. You play as the Communists or the Democrats either trying to hold onto power or usurp it.